Twenty years ago, on 2 October 2012, a riot broke out in São Paulo’s notorious Carandiru prison. The subsequent carnage and the savage response by the state’s military police left at least 111 prisoners dead. The stand-off between police and rioters in Carandiru prison. Photo: “Rebelião II” in the Jornal da Tarde by award-winning photographer Mônica Zaratini. A vicious fight between inmates had escalated into a riot in Carandiru Block 9 and 68 officers from the state military police were called in to intervene and quell the situation, led by the now-famous Colonel Ubiratan Guimarães. 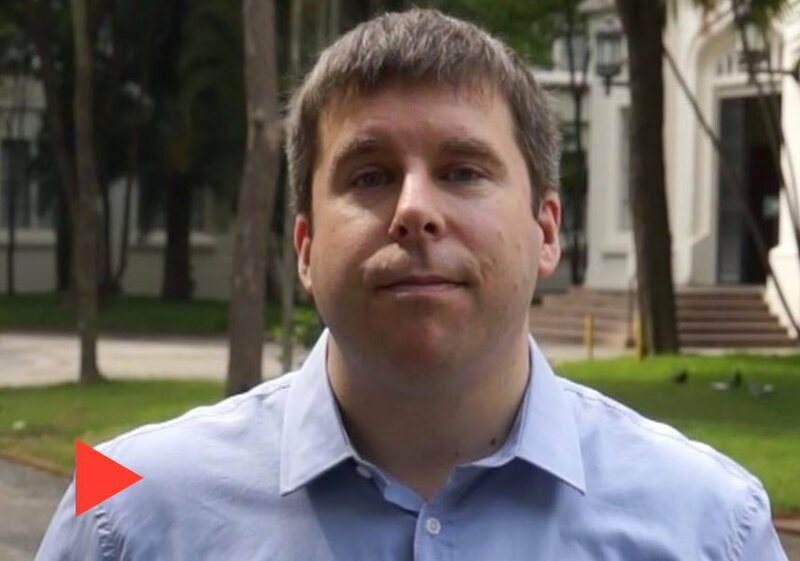 The entire truth about what ensued will probably never be known, but even the most conservative accounts of what happened tell of a bloodbath that left an indelible mark on recent Brazilian history, and one that still haunts those working in the prison system. Survivors of the massacre say that on that day in 1992, police stormed the prison and started shooting prisoners in a bid to force rioters into back down. But witnesses say they soon started shooting indiscriminately, turning on those who had surrendered and were cowering in their cells. Witnesses also say the official death toll of 111, horrific as it is, was actually higher. There were no police deaths in the massacre. Nine of the prisoners were stabbed to death by other inmates. Colonel Ubiratan Guimarães’ intervention was labelled “disastrous and ill-prepared” and was initially sentenced to 632 years in prison in 2001 for 102 prisoner deaths caused by the riot squad he was commanding. Colonel Ubiratan Guimarães was sentenced to over 600 years in prison for the deaths of 102 prisoners at the hands of the riot squad he was commanding, but was later acquitted. However, a mistrial meant he was eventually acquitted on appeal in 2006 and turned into something of a celebrity – being elected later to office as a state deputy for the city, much to the disgust of survivors and human rights campaigners alike. But fate had it that Ubiratan Guimarães would meet a sticky end in 2006, murdered in an apparently unrelated attack. The words “aqui se faz, aqui se paga” – “if you do it here [on earth], you pay for it here” – were daubed on the wall of the building where he lived in reference to the massacre. Pictures of his body, with fatal gunshot wounds, are still easy to find online. Widespread anger from fellow inmates is said to have motivated the creation of a criminal organisation called the Primeiro Comando da Capital, formed in 1993 to avenge such prisoner deaths; its members are said to be behind the death of the prison director at the time, José Ismael Pedrosa. The organisation has tried to get conditions improved for the half-a-million people incarcerated in Brazil’s penitentiary system, with methods nearly always involving violence and serious threats of some kind. São Paulo’s notorious Carandiru prison before it was demolished in 2002. Brazil’s Prison Service said that deaths in Brazil’s prisons have since fallen: from 522 in 1999 (the equivalent of 1% of the prison population at the time) to 377 in 2006 (0.3%). 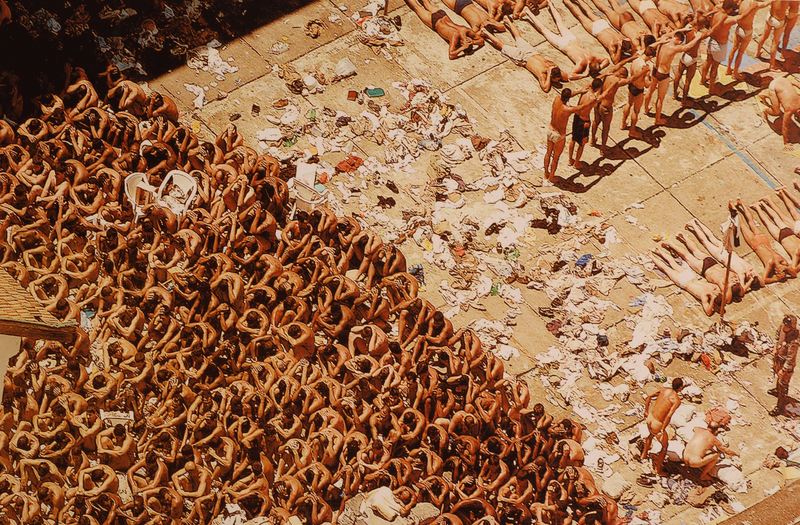 The whole affair surrounding the Carandiru Massacre has sparked outrage among human rights campaigners, who insist Brazil’s prison population far outstrips the country’s prison capacity, with cell overcrowding a real issue. Others have accused the justice system of coddling the police at the time – something they say exists to this day. Twenty years on, a hundreds-strong protest has been held in São Paulo with relatives and campaigners calling for justice to be served on those involved, alleging the officers shot many of the unarmed prisoners at point-blank range. The officers involved have said they were simply following orders. A film about the massacre, titled Carandiru (pictured above), was released in 2003.